In the under 60 kg category, we find some of the biggest profiles in the women division. Highly merited fighters with tittles and tons of experience. In this category, top four from last year are ready to go and we can add new interesting fighters coming up from junior/U21 division. Last year final was a very intense final. Inga Mikštaitė / Lithuania – Marta Lubos /Poland. Unfortunately, it was warnings that became the issue, unfortunately because one do like to see finals be decided by the fighters through their skills. Mikštaitė vs Lubos in a final this year could easily happen. 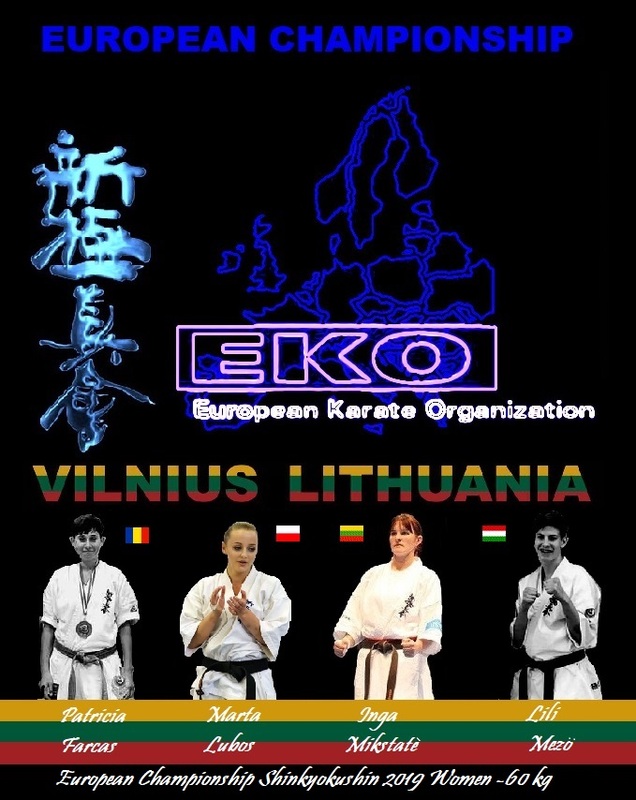 After a firework of a final in 2016 KWU EC, where both eliminates the top fighters of KWU in the semi-finals, Mikštaitė takes the tittle being the stronger one. The pace of Lubos makes a really fight out of it. Booth moves on after that with great results. 2016 Open-weight EC final in, the same pattern, Mikštaitė being stronger, and making a point to show it. In the final last year one could see that the level of strength was even out, and as mention it had been very interesting to see the fight go further. (Than the decision on warnings) This time Lubos could hold Mikštaitė, and hurt the champion with more accurate punching. Last top score for both was to take the EC KWU tittle in December. So, can the veteran Mikštaitė take the pace and pull out another victory? Alternatively, will (The) Lubos(s) keep the pressure and pace that we saw last time and secure the win? Time will show, and not least if they face each other. More fighters that will challenge the podium, Erika Rukšėnaitė / Lithuania and Solmaz Zeynalli / Azerbaijan – both at 3rd place last year. We must say that they misses some of the merits compared to Mikštaitė and Lubos, but both tough fighters and do not hesitate to “bring it on” Rukšėnaitė coming off top spot in the Lithuanian national, always a proof of quality. Zeynalli did her first step into the EC podium, coming down from the category above. It seemed that the under 60 kg category worked better for her. Some very interesting newcomers has also appeared Lili Mező / Hungary. Reign U-21 champions from EC-21 I Budapest 2018, November. Mezo in -60 kg. We are always curious how young fighters will make the transition into the senior division. The senior level are incredible high, and going from being (maybe) the biggest and strongest – to face potential only stronger or even competitors. In this case, we have no doubt that these two will make the transition – because they have already done it! 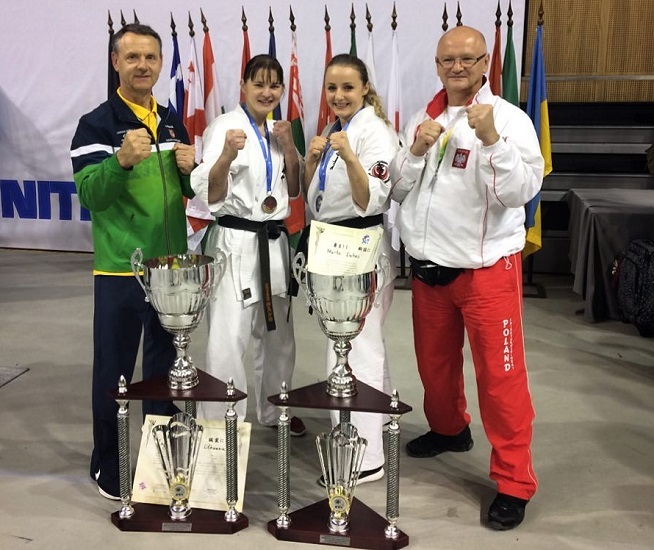 Earlier this year, Mező took the 1st place in Carpathia cup, and became the Hungarian champion including best technical fighter award. Looking further, the category have fighters from Ukraine, Spain, Belgium and Norway. Among these fighters we do have many with good quality, but so far they misses some “heavy metal” – but this could be the time!